SORRY DENIERS, EVEN SATELLITES CONFIRM RECORD GLOBAL WARMING | "Global Possibilities"
The planet just had its hottest 12 months on record. The people who deny the facts of climate science for a living have had a really tough time recently. For years they had been dining off the “there’s been no warming since 1998” talking point. But that one was mortally wounded when 2014 became the hottest year on record — and then it died entirely when 2015 blew away the 2014 record. And now a stake is being driven through the heart of this vampire again and again as every month of 2016 has been totally crushing both the record for hottest month and the record for hottest 12 months on record. It’s just hard to keep pretending not to see the warming trend — even if that’s your job. The NASA chart above of land and ocean surface temperature makes clear there was no slow-down, no pause in long-term warming. If anything, warming is speeding up. And so Ted Cruz and his fellow climate science deniers retreated to the (equally false) “satellites find no warming since 1998” talking point. You will no doubt be shocked, shocked to learn that the satellite data has, in fact, confirmed global warming for a long time. Indeed Dr. Roy Spencer and Dr. John Christy of the University of Alabama at Huntsville (UAH) reported earlier this year that the satellite data shows a “Global climate trend since Nov. 16, 1978 [of] +0.12 C [0.22F] per decade.” And Spencer and Christy are both leading deniers themselves! Higher highs and higher lows — the warming trend is quite clear in the satellite data. 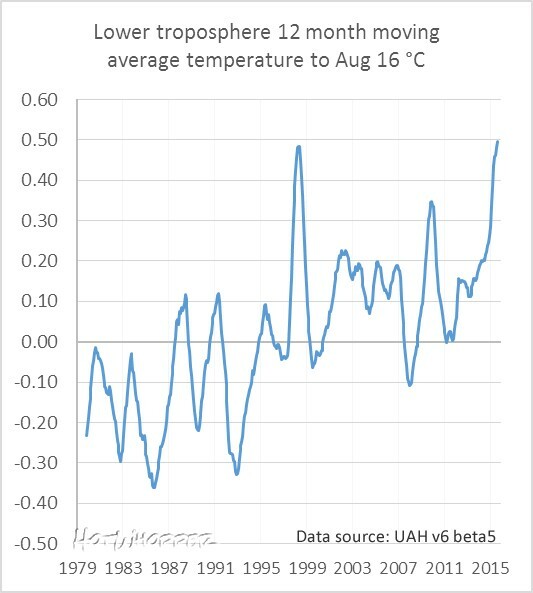 With August 2016, the 12-month moving average has hit a new record high, beating out the record set during the last super El Niño (whose temporary warming increase adds to the underlying long-term global warming trend and whose short-term impact on global temps tends to be bigger in the satellite data than in the surface data). 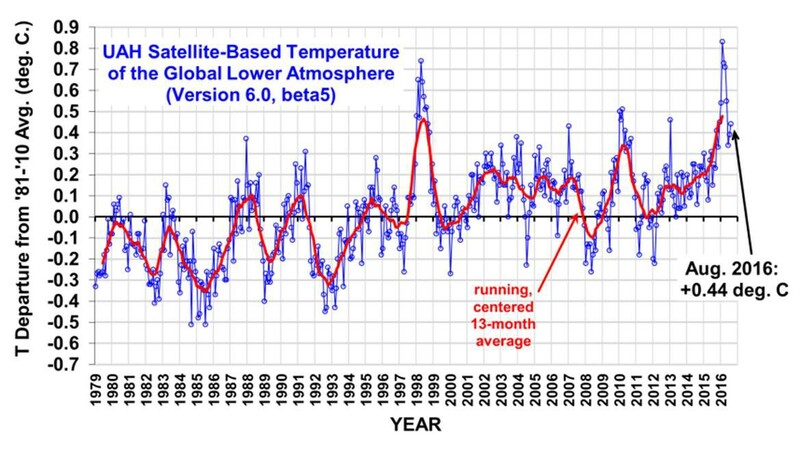 You may wonder where the “satellites find no warming since 1998” talking point comes from given that satellite data, ground-based weather stations, sea-based buoys, and even weather balloons all reveal a steady long-term warming trend. Turns out there is another set of satellite data, from the Remote Sensing Systems (RSS) that had appeared to show a relatively slow rate of global warming. It still showed warming, but the deniers never let the facts get in the way of a good myth. 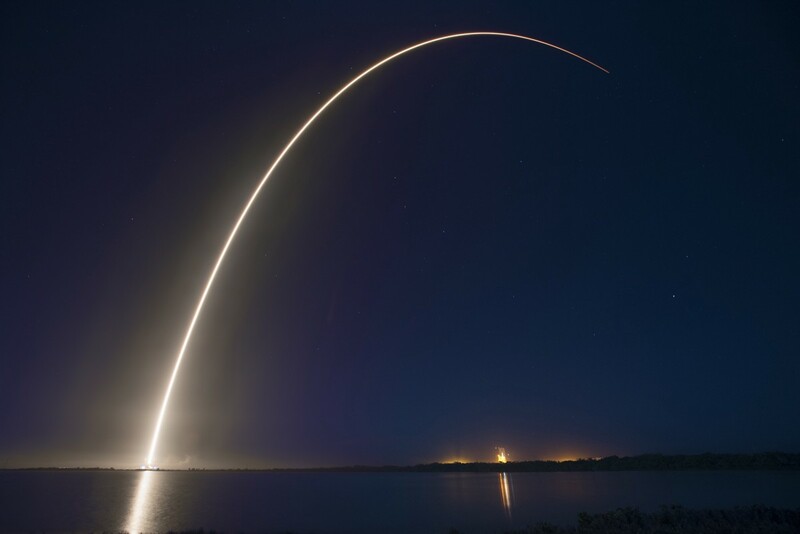 But a recent study concluded that miscalculations of satellite drift explain why the Remote Sensing Systems (RSS) satellite temperature dataset has been low-balling global warming. Now here’s the funny part [not funny ha-ha, but that emoji where you are laughing so hard tears are coming out of your eyes and then you realize those aren’t tears of joys, they are just tears]. Even the deniers have long known that the RSS temperature data had been miscalculated. The thing is, the surface temperature data NASA reports directly measures the temperature at the surface where we live. The satellites indirectly measure the temperature of the lower atmosphere, where we don’t live, so they need a whole bunch of adjustments before they are is useful to anyone. Long-story short, Spencer explains the UAH data is better because they use data from satellites that don’t drift. Then, like any responsible scientist in search of the truth, he goes on to urge everyone to use the superior UAH data even though it actually shows more global warming. Ha! Just kidding [insert new emoji here]. Yes, Spencer was urging his fellow deniers to keep talking about a dataset that he knew was fatally compromised by an erroneous drift correction. Only hard-core climate science deniers will be surprised to learn that the recent study in the Journal of Climate by members of the RSS team finds that … wait for it … the RSS data had been low-balling recent global warming because of a flawed diurnal cycle drift correction. 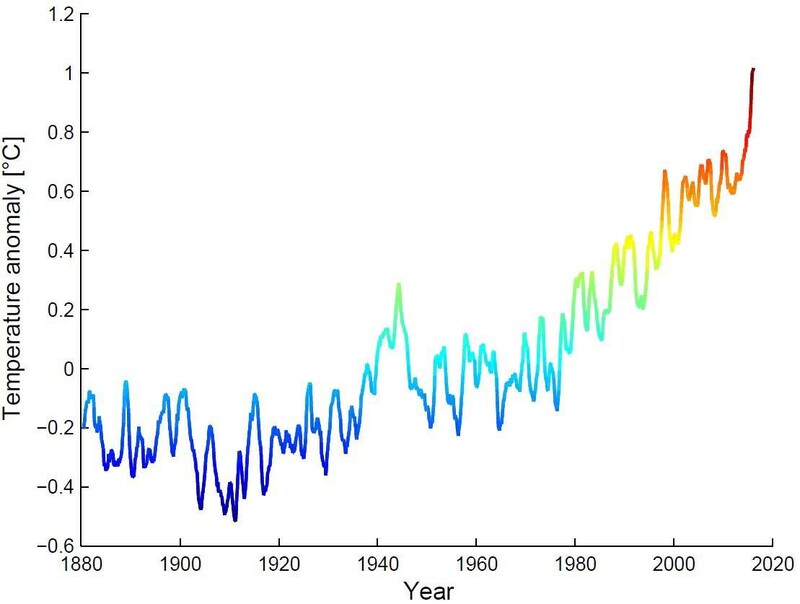 And now that dataset has once again confirmed what multiple data streams have been reporting for a long time: there is a long-term warming trend, and it has been getting worse. In truth, none of this is funny. The lies of the professional deniers get repeated by the politicians and right-wing media who oppose action — and all that helps slow our response to the greatest preventable threat to our health and well-being. That is a tragedy we must all fight against.